November 28, 2016 by Bill McMurdo "Merlin"
Very often the life of faith is lived in paradox. This means living in the tension between two seemingly opposing thoughts. For example, we are supposed to live in peace with all men and we serve the Prince of Peace. However, Jesus Himself said He came not to bring peace but a sword. Scripture has plenty of such apparent contradictions. The truth is, they are not so much contradictory as accepting of the fact that life on this planet has many variables and is lived in a state of flux. There is a time to speak and a time to be silent. There are appropriate times and seasons for things. Another paradox is that God has given us abundant scriptural warrant to believe Him for success and prosperity in the economic realm. We are created to be productive and multiply – and money is a massive part of this. He gives us power to get wealth and Jesus died to get Abraham’s billionaire blessing on us (see Deuteronomy 8:18 and Galatians 3:13,14). Yet we are to be content if we have our basic needs met (1 Timothy 6:8). That is some paradox! It is an easily explained one. You are supposed to desire increase in your finances. But not for purposes of avarice. You see, the paradox is this: Prosperity is about YOU. But prosperity is not about YOU. God wants you rich, yes. No question about that. And your faith is involved. Now, since faith works by desire (Mark 11:22-24), you need to desire financial abundance in order for your faith to have a target. But you are not supposed to want to get rich (1 Timothy 6). A conundrum indeed. The answer to it all is your MOTIVE or PURPOSE in getting rich. God multiplies favour toward us so that we can have all sufficiency in all things. This is not just about managing, this is living in plenty. As we overflow in our own circumstances we can then abound to every good work. Notice it says ABOUND, not just give a little. You have to catch the spirit of this. This is about abounding personally FOR THE PURPOSE OF ABOUNDING TO OTHERS!!! Your personal increase is based upon the desire to bless others. Now, it is not wrong to want to prosper. It is not wrong to desire better things, bigger houses, nicer clothes, faster cars. Especially if you want to give your family a better life. And that is the clue: you want to prosper for others’ sake. We can even see this in the world system. Wealthy people often give a massive part of their wealth away to good causes. Now, if you will have this heart for others in your dealings financially, you qualify for extreme abundance! On the other hand, if you want to be Mr Big, you are setting yourself up for ruin. It just makes good sense that God has reserved ultra wealth for people who are happy to use their wealth to bless those less fortunate than themselves. Maybe this spirit of generosity explains why some of the super-rich get their money – because they are prepared to give so much away. Worth a thought… Remember that God sees the heart. We can also see how this applies to the Abrahamic Covenant. Not only that, all the families of the earth are to be blessed in Abraham and his seed. This is no small enterprise; this is a massive global program involving everyone. Your prosperity is linked to the divine purpose of the Abrahamic Covenant! You are to prosper so that others may prosper! We are to be made rich in every way so that we can be bountiful in our giving. Thus we will fulfill our side of the Abrahamic Covenant in terms of our financial and economic commitment. 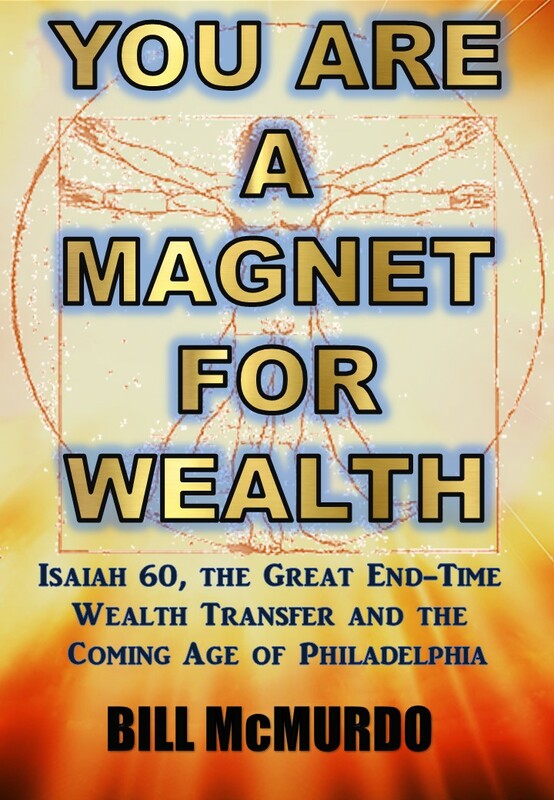 God’s side is to give us power to get wealth on this planet (Deuteronomy 8:18), to enrich us in everything. Wealth with a purpose is not about curbing your ambitions but is about refining them. The purpose of our being rich is to manifest what is ours in glory realms so that others can be blessed by this. Think of it this way: God’s business is blessing you; your business is blessing others. Our job is to be blessed so that we can bless others. You can be as rich as you want to be if you will simply channel your blessings to a world that needs them.